We are now advising patients via text messages about their Doctors appointments. If we have your mobile telephone number we will send you an automatic message the day before to remind you. If you do not want to take advantage of this service then please let us know so we can update your records. If you have a user name and password click here to order your prescription. If you do not have a user name and password please contact the surgery and we will arrange for a user name and password to be issued so that in future you can order your medication online. If you are on long term medication we have a computerised system that will allow you to have a number of prescriptions without seeing the doctor. You will however be required to attend for check ups at regular intervals to monitor your condition. WE WOULD ASK THAT YOU GIVE US 48 HOURS NOTICE WHEN YOU ARE REQUESTING YOUR REPEAT MEDICATION. We can send prescriptions to the pharmacy of your choice electronically. Please can you check that your nominated pharmacy details are correct and let us know if you are happy for us to transfer your prescriptions in this way. Sometimes you will be informed that a further repeat prescription will only be possible after you have seen the doctor for a further check up. This is an important safety net, and it is vital to adhere to this. 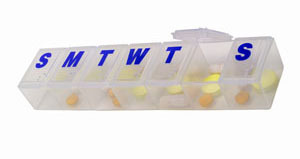 Please note that, in accordance with national guidelines, the practice normally prescribes a 28 day supply of any drug. We would ask that you preferably make your request via this website, otherwise post your computer slip to the surgery, call in at the surgery or leave in the box in reception. TELEPHONE REQUESTS WILL ONLY BE ACCEPTED IN THE CASE OF GENUINE DIFFICULTY AS USING THE TELEPHONE BLOCKS THE LINES AND PREVENTS OTHER PATIENTS CONTACTING US WITH MORE URGENT PROBLEMS. WE WILL ONLY TAKE TELEPHONE REQUESTS FOR MEDICATION AFTER 1pm. IF YOU CALL BEFORE THIS TIME YOU WILL BE POLITELY ASKED TO CALL BACK. We are not a dispensing practice and because of the rurality of the area most of our prescriptions are dispensed by the local chemist, Parkside Pharmacy. They are located in the centre of Bellingham. If you do not want your prescription to be forwarded to Parkside Pharmacy automatically, you should advise us each time you make a request for medication. Again, because some of our patients are housebound and live in isolated areas the chemist does offer a delivery service. However they would very much appreciate it if you were able to collect where possible. We would be happy to issue your repeat medication to coincide with your trip to Bellingham. We send most prescriptions to Parkside Pharmacy electronically, please let either the pharmacy or the practice know if you do not want us to transfer your prescription this way. We will encourage patients who are on regular repeat medication to go onto the "repeat dispensing scheme". This means the pharmacy will hold your prescription until your next review is due. All you will need to do is let the pharmacy know when you want to pick your prescription up. This reduces the administration time at the practice, therefore using NHS resorces more effectively.